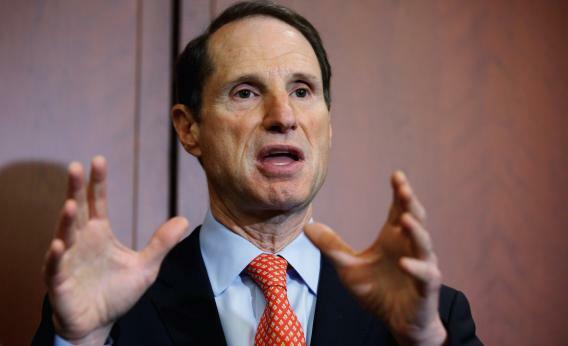 Ron Wyden: dangers of NSA surveillance and the Patriot Act. Sen. Ron Wyden warns against letting government surveillance spiral out of control. Without protective legislation, says Wyden, the government may and can treat our cellphones as a “combination phone bug, listening device, location tracker, and hidden camera.” As of yet, there haven’t been any leaks revealing whether the NSA is collecting location data from cellphones. But “if local law enforcement is getting location data, then you can bet that NSA is getting it too,” Chris Soghoian, the ACLU’s principal technologist and senior policy analyst for the Speech, Privacy, and Technology Project, told me. Experts have raised the flag for years now about the ways that location data could be collected under the Patriot Act. And, in fact, a report on Monday described how cellphones can be tracked even when they’re off by using a technique called “The Find” that likely uses spyware to infect target phones. The rules for handling classified information prevent Wyden from sharing specifics, but it seems that he’s going as far up to that line as he can. With as much as we now know about the government’s surveillance operations, we shouldn’t be surprised that there’s still more to learn—and that the worse may be yet to come. During the Q-and-A session after Wyden’s prepared remarks, a member of the audience revealed that a footnote from an official Department of Homeland Security memo on privacy flies in the face of fundamental American principles: “The Privacy Office has not adopted the notion of balancing privacy against other values because that paradigm results in a zero-sum outcome and privacy often is diminished at the expense of security.” Not only is this inconsistent with research and scholarship, it is also a dangerous precedent to set.